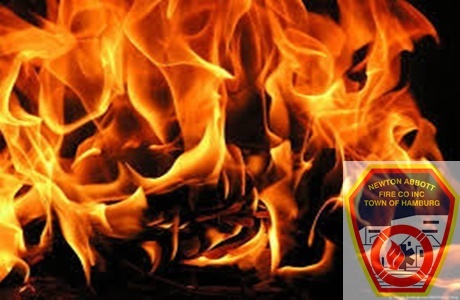 Newton Abbott Firefighters responded on 3/27/18 at 1503 Hrs for a report of a structure fire on Dickens Rd.D-21 went on location with heavy fire showing through the front window and declared a working fire. Armor, Blasdell, Scranton, Woodlawn, Orchard Park (FAST), & Windom responded as mutual aid to the scene. The fire was reported knocked down in 18 minutes.